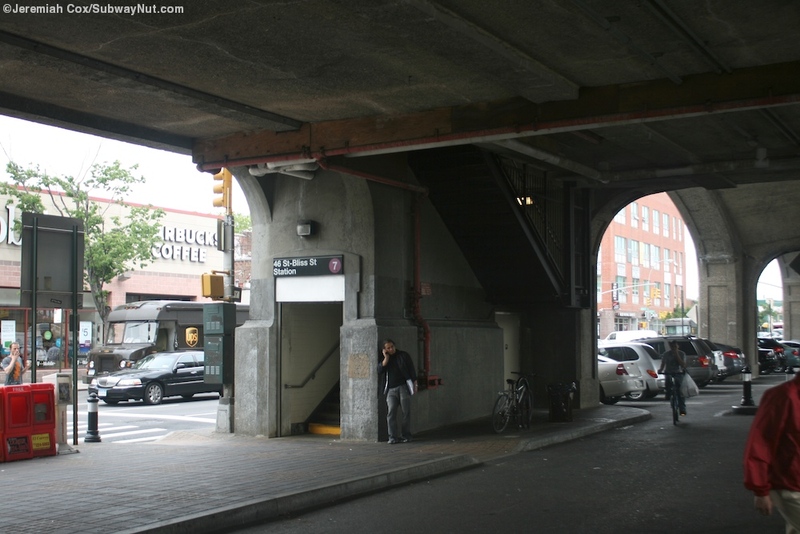 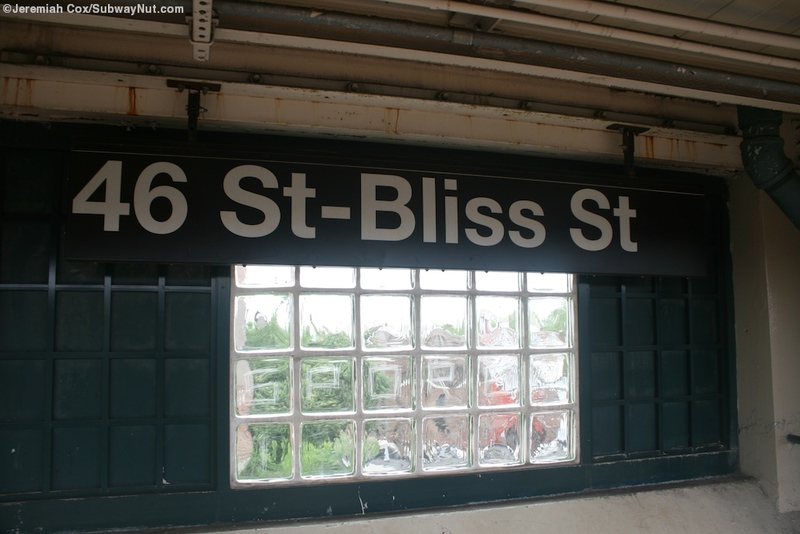 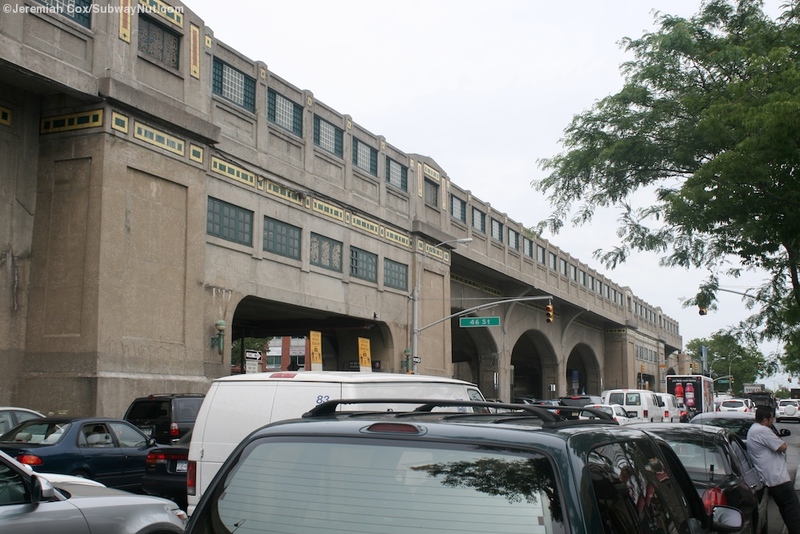 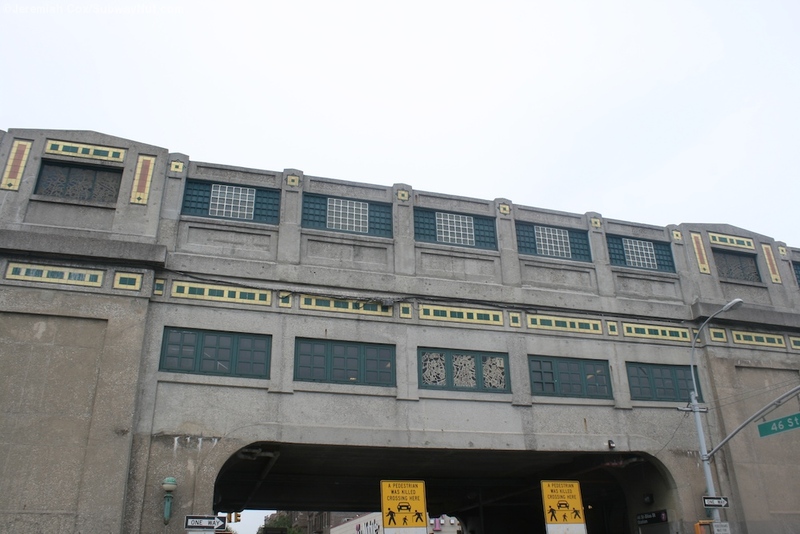 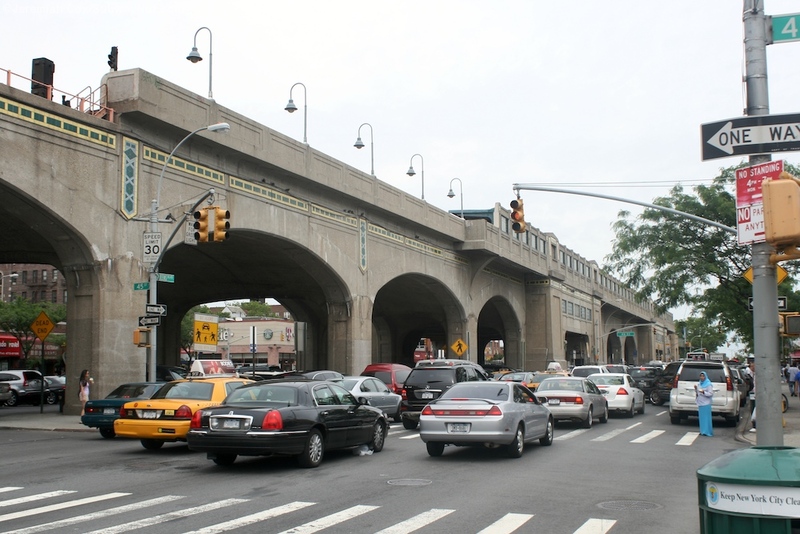 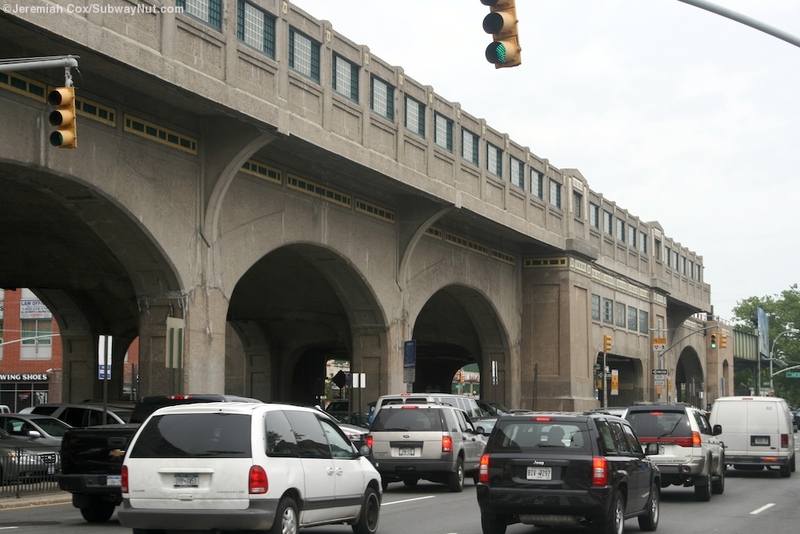 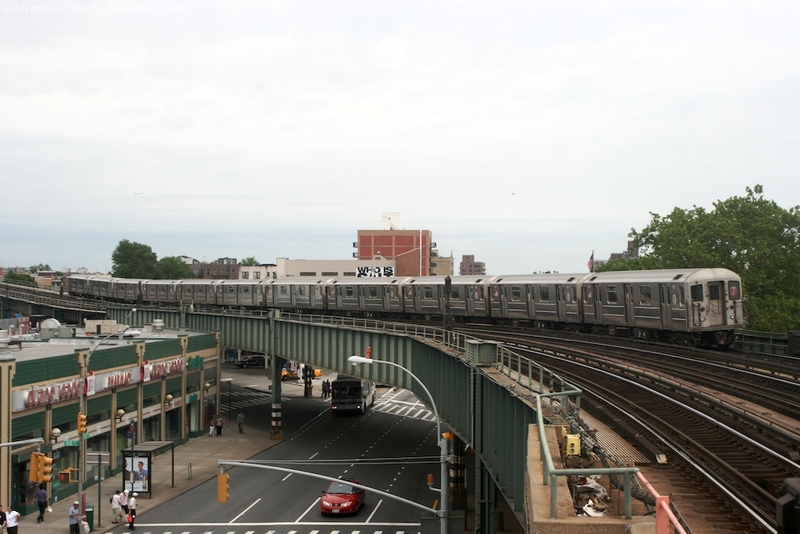 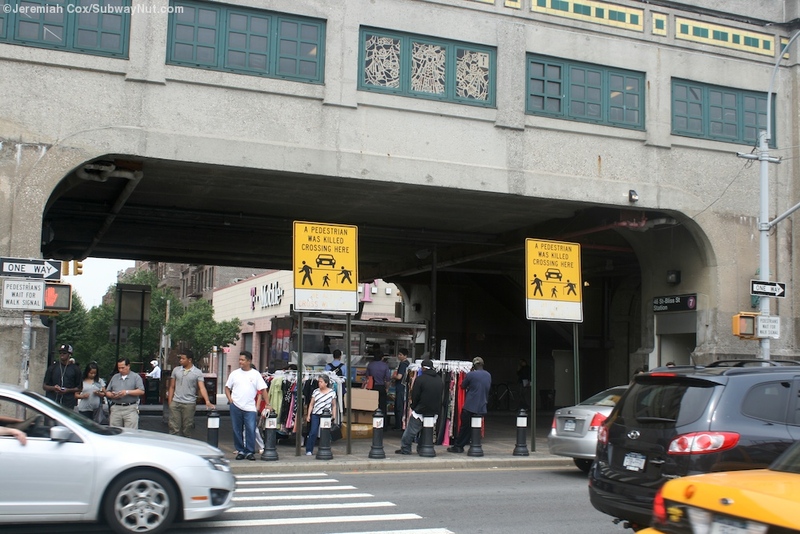 46 Street-Bliss St is located on the concrete elevated viaduct above the median of Queens Blvd with just parking beneath. 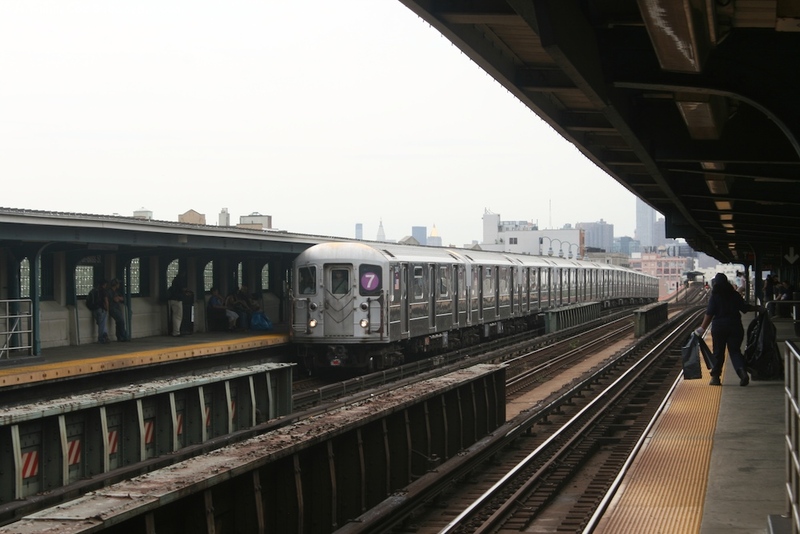 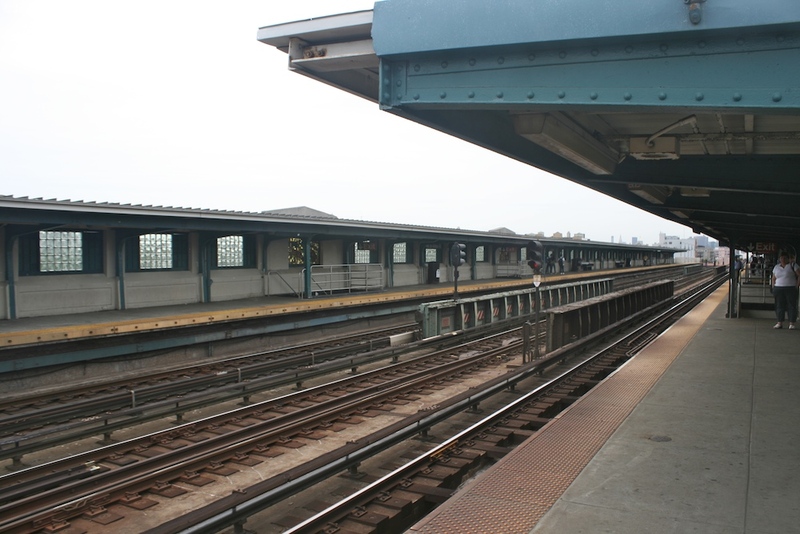 The sides of the elevated here are decked out in concrete and decorative green and yellow tiles, just east/north of the station the line curves off of Queens Blvd and onto a conventional elevated above The station is a local stop with two side platforms for the three tracks lined with concrete walls with little semi-translucent blocks letting more natural light in and a roof that is cantilevered from the sides of the elevated structure with no intermediate columns. 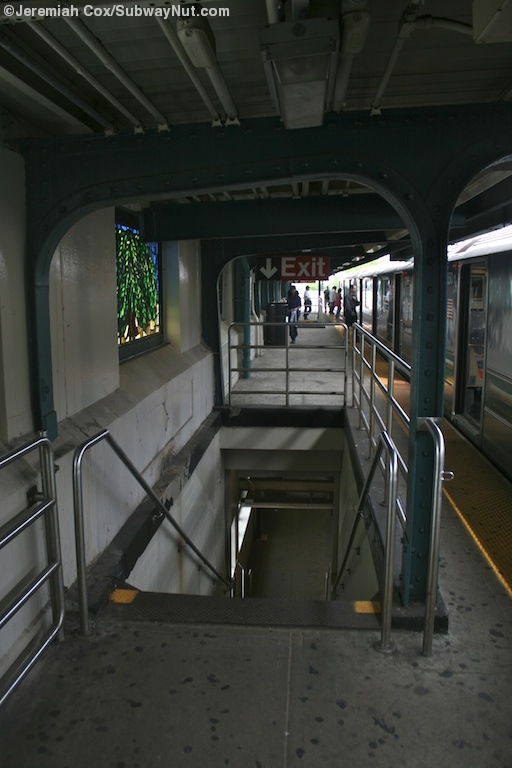 For exits the station has two: The first one has a full time booth and is located towards the south/west end of the station two staircases lead down from each platform to their own separate banks of turnstiles between them (so no free crossunder) where there is a token booth and staircases down to all of four corners of what is now a pedestrian plaza in the middle of Queens Blvd since through traffic cannot stay and drive straight through on 46 Street. 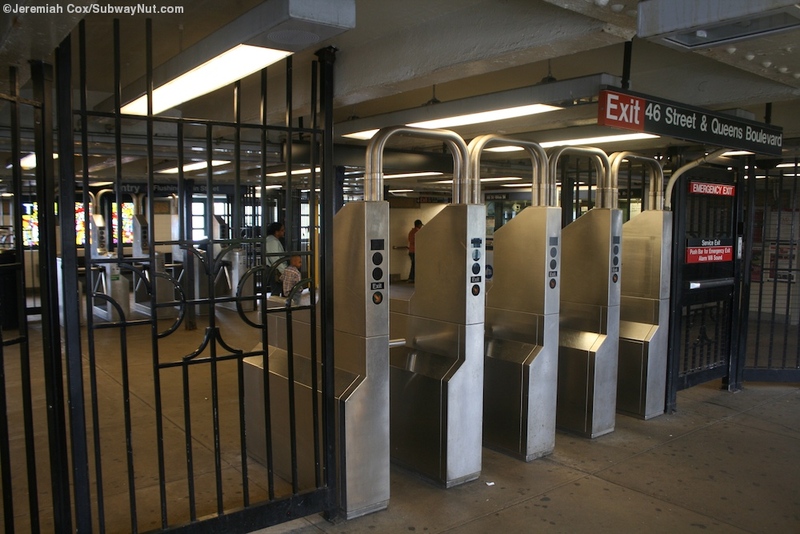 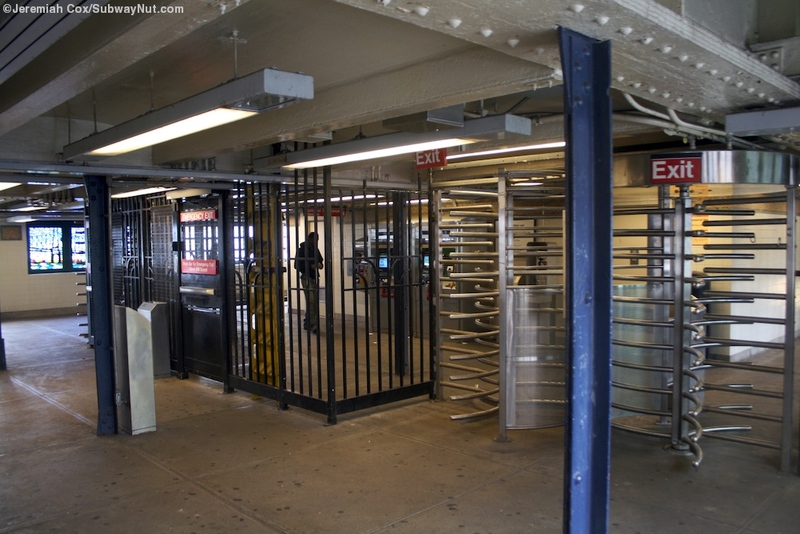 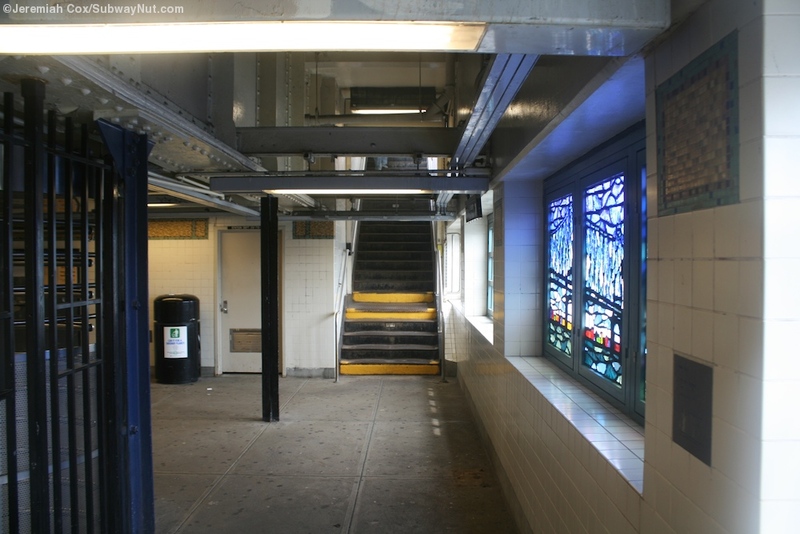 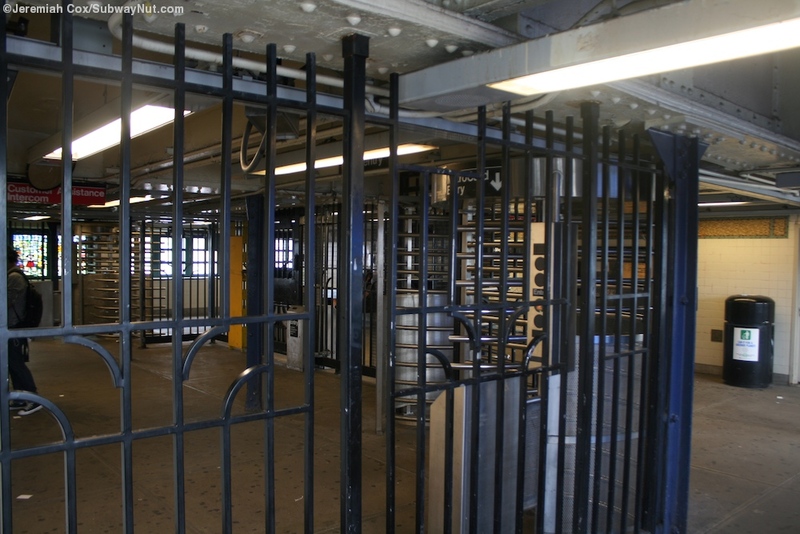 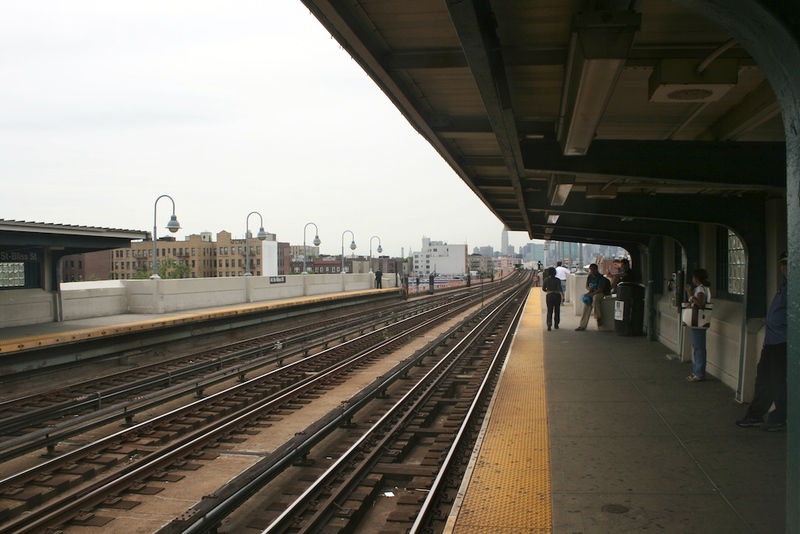 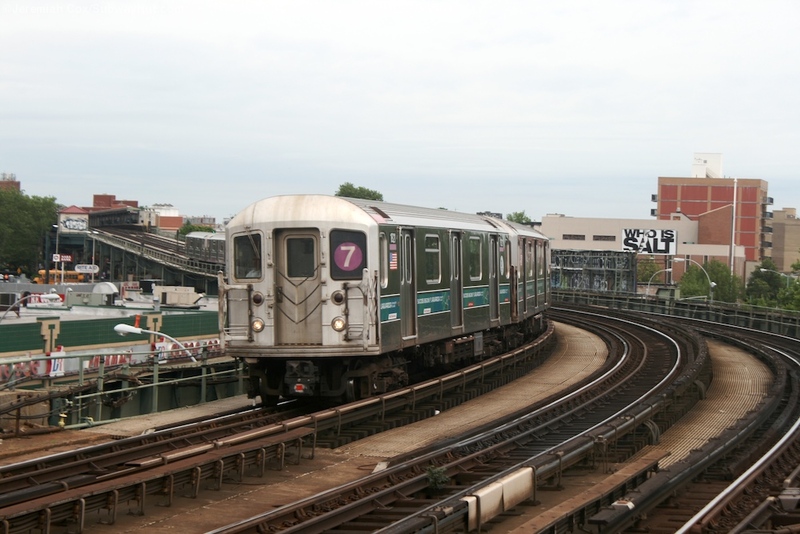 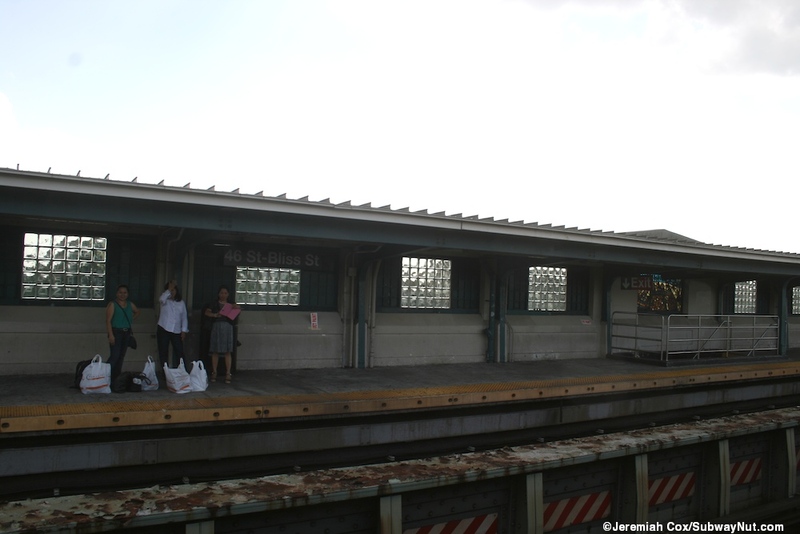 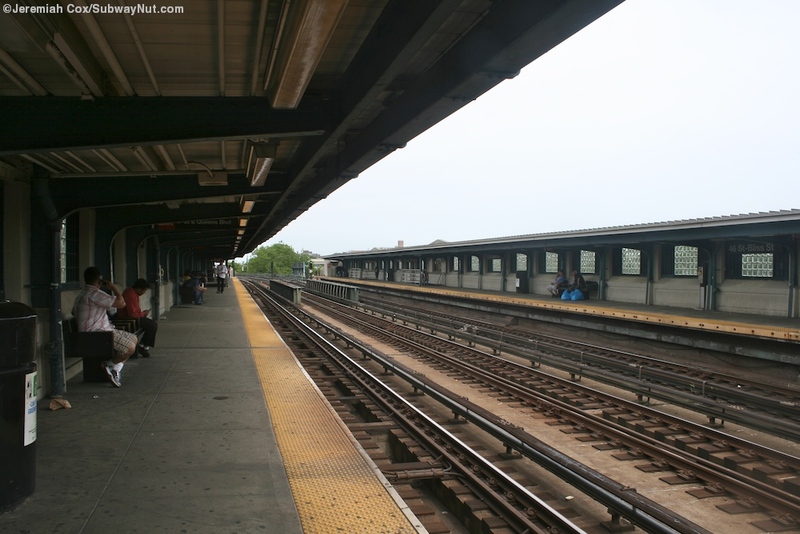 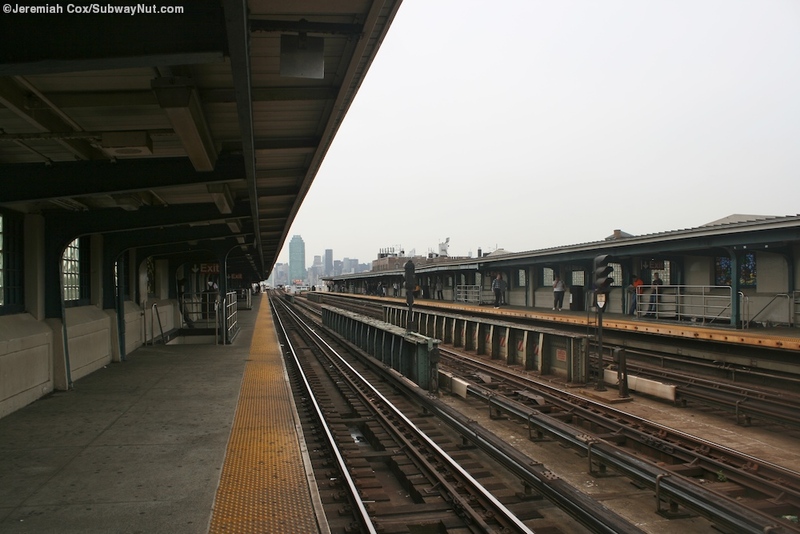 There is a secondary unstaffed exit at the other end of the station where two staircases lead down from each platform to a some high turnstiles in a station house beneath the tracks designed with the fence running around to one side so a free crossunder is provided and leading to street stairs on the NW and SW corners of the median of Queens Blvd and 47 Street-Carolyn Avenue.